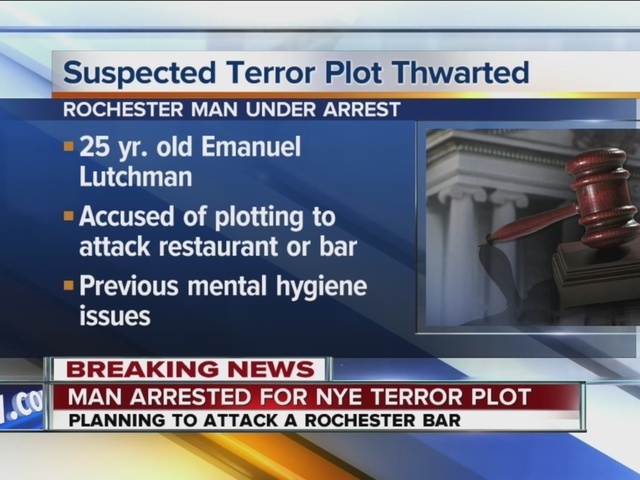 A 25 year-old man is under arrest, accused of plotting a New Year's Eve terror attack in Rochester. The threat was enough for authorities in the New York city to cancel its annual New Year's Eve firework display. Authorities say Emanuel Lutchman was planning an armed attack on a bar or restaurant in the city, to show his support for ISIS. Authorities say Lutchman was planning to build a pressure cooker bomb but settled on a knife-attack instead. According to a criminal complaint, Lutchman bought supplies at a Rochester Walmart including ski masks, zip-ties, knives and a machete. But this arrest is not the first of its kind recently in Western New York. Earlier this month, 31 year old Mufid Elfgeeh, a Rochester pizza shop owner pleaded guilty to attempting to support and recruit for ISIS. 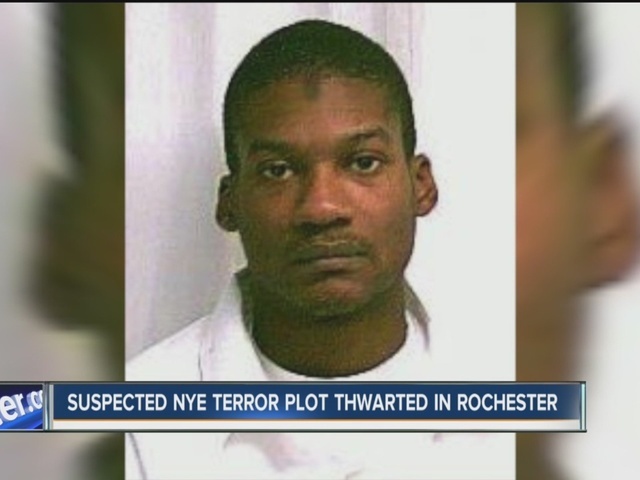 Last summer, Arafat Nagi of Lackawanna was arrested by the FBI. Investigators say he publicly pledged his allegiance to ISIL and it's leader and also planned to go Turkey and Syria. Lutchman recorded a video taking responsibility of the thwarted attack, according to the criminal complaint. Investigators say Lutchman, a self professed Muslim convert, has a criminal past as well as previous state Mental Hygiene arrests. You can read the entire complaint against Lutchman here.